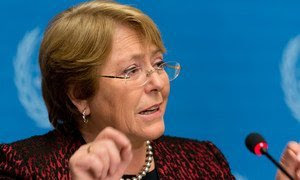 Journalists’ conviction in Myanmar a message that press ‘cannot operate fearlessly’ – UN rights chiefStressing that the legal process that led to the conviction of two Reuters journalists in Myanmar “clearly breached” international standards, the United Nations top human rights official called for their immediate and unconditional release. 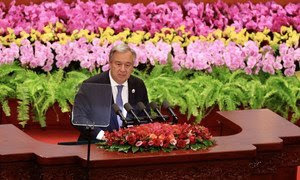 In Beijing, UN chief urges China, Africa for a win-win collaboration for ‘the future we want’Highlighting the economic and development progress made in China and Africa, United Nations Secretary-General António Guterres urged them to unite their combined potential for peaceful, sustainable and equitable progress to the benefit of all humankind. 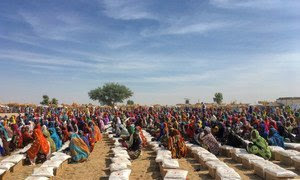 Progress made but Lake Chad crisis is not over, says UN relief chief, urging greater support for regionDespite improvements in the humanitarian situation in the Lake Chad region, millions continue to remain dependent on lifesaving assistance, the top United Nations relief official said on Monday, urging greater international support for the region to safeguard the progress achieved.